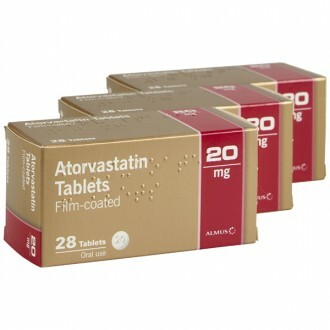 Atorvastatin tablets are prescribed to help treat high cholesterol. This treatment is most effective when combined with exercise and a healthy diet. You will likely begin by taking 20mg of Atorvastatin each day; your GP will adjust this prescription depending on your needs and cholesterol level. 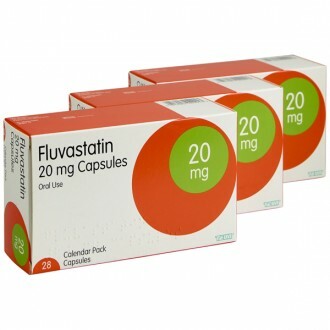 Atorvastatin is available in strengths of 10mg, 20mg, 40mg & 80mg. Having high cholesterol can potentially have serious health implications. If left untreated, the condition can lead to heart attack and stroke. Having high cholesterol doesn’t necessarily present with any external symptoms, which is why it is important to aware of your cholesterol levels. In many cases, high cholesterol can be attributed to lifestyle choices. For example, diets rich in fatty foods and alcohol will likely raise your cholesterol levels. Also, a lack of exercise can also help raise your cholesterol levels. Alternatively, high cholesterol can be the result of a preexisting medical condition, such as diabetes. Some people may be more prone to having high cholesterol problems because of their genes – having a close family member with the condition will increase your chances of developing high cholesterol. Cholesterol isn’t always bad. At lower levels, the substance plays an essential role within the bloodstream. High-density lipoprotein (HDL), or ‘good’ cholesterol, is responsible for transporting fats throughout the body. This action is required so that cells and tissues can receive the nutrients they need to grow. However, the HDL required to perform these duties is already produced naturally in the liver. When cholesterol levels in the blood start to increase, due to poor diet and other lifestyle factors, these fatty substances begin to clump together. These sticky clumps can cause blockages that inhibit the flow of blood through the body. This is known as low-density lipoprotein or ‘bad’ cholesterol. Atorvastatin actively works to reduce the activity of an enzyme found in the liver. This enzyme is responsible for producing cholesterol. So, by inhibiting this enzyme's action, the overall cholesterol levels in the body are reduced. This will result in a decreased risk of developing circulatory problems. Becoming more active will help lower cholesterol levels. Atorvastatin tablets should be taken whole with a sip of water. You will be advised to take one per day. If you stop taking Atorvastatin, your body will likely resume producing large quantities of cholesterol, which may lead to complications. So, it must be taken long-term. Atorvastatin is most effective if combined with regular exercise and a healthy diet. Prescription medicines should be only one part of a healthy lifestyle. Inflamed nasal passages, sore throat, bloody nose, allergic reactions, increase in blood sugar levels, increase in creatine kinase in the blood, headache, vomiting, digestive problems including nausea, diarrhoea, and indigestion, pain in the joints, muscles or back, abnormal liver function. The active ingredient contained in Atorvastatin is atorvastatin calcium. Tablet core – Sodium hydroxide,Sodium laurilsulfate, Hydroxypropylcellulose, Lactose monohydrate, Microcrystalline cellulose, Croscarmellose sodium, Crospovidone, Magnesium stearate. Film coating – Polyvinyl alcohol, Titanium dioxide (E171), Macrogol 3000, Talc. You are breastfeeding, pregnant, or may become pregnant. Before taking Atorvastatin, inform your GP if any of the above apply to you. They will perform a blood test before your treatment to assess your risk of potential side effects. You may also require further blood tests during your treatment. Other medicines acquired with no prescription. The above list is not exhaustive. Please read all packaging and the Patient Information Leaflet before taking any new medicine and inform your doctor of medicines you are taking or intend to take. Need to know more about High Cholesterol? When should I take Atorvastatin? Atorvastatin should be taken once daily. The tablets can be taken either with or without food, day or night. It is recommended to take your dose at roughly the same time each day. What is the difference between the different statins? For most people, a low-intensity statin will be enough to control their cholesterol. However, if it is proving ineffective, a higher-intensity statin can be used instead. How long do I need to take Atorvastatin for? Statins are only effective for as long as you are taking them so you will likely need to take them for the rest of your life. How can I tell if my Atorvastatin is working? You will require a blood test to check your blood cholesterol levels. 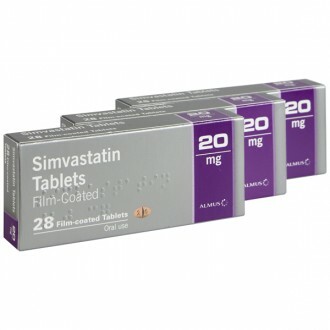 After starting a statin, it usually takes around 6 weeks for cholesterol levels to stabilise. On this basis, most doctors will re-check your cholesterol after approximately 8 weeks. Thereafter, you should have a checkup annually, or more often if your doctor thinks it necessary. How will taking Atorvastatin help me? Taking Atorvastatin can significantly delay the onset of atherosclerosis, which is a narrowing of the arteries. 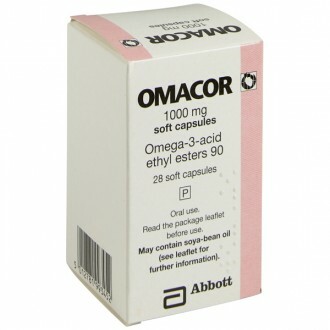 This will reduce the likelihood of suffering a serious cardiac event, such as a heart attack or stroke. Is Atorvastatin better than other statins? All statins work relatively in the same way and they all share the same side effects. However, each person is different and individual responses to the same drug can vary. If your cholesterol levels do not change after starting a statin, your doctor may wish to increase your dose or alternatively, try a different drug altogether. How do I know which statin is right for me? The most effective cholesterol treatment can rely on a number of factors. Before your doctor prescribes any prescription medicine, they will first look at several things, including; family history, your risk of heart disease, and your current lifestyle. In most cases, a change in diet and exercise are usually attempted prior to pharmaceutical intervention. If these changes do not have the desired effect, you may be prescribed a medication to help the process along.